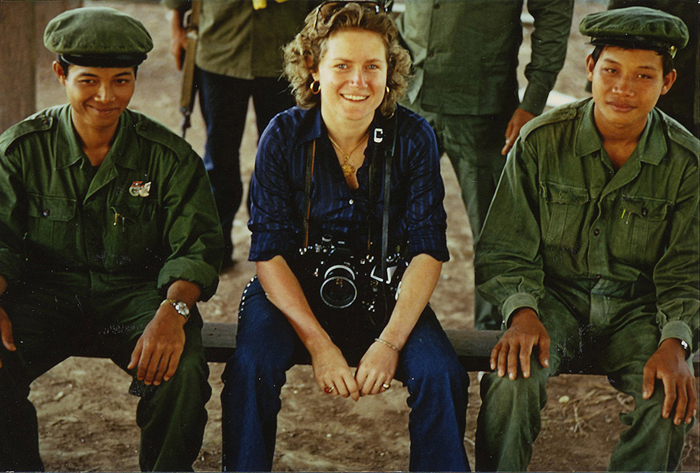 Anne de Henning began her career as a photo reporter in the late 1960s. At age 23, she embarked on the Trans-Siberian Railway on her way to Vietnam. Crossing the Taiga forest blanketed in deep snow, she made a stop at Irkoutsk to walk on the ice-covered Baikal lake. 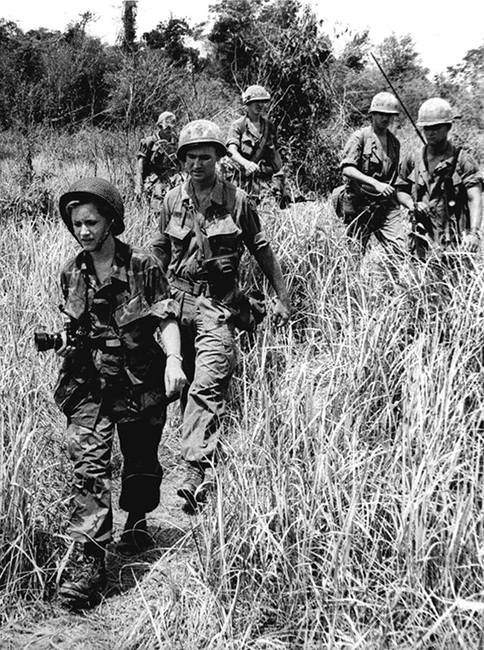 After a stay in Japan and Hong Kong, she arrived in Vietnam where she photographed the war with the U.S. Army. In 1971 she covered the Bangladesh Liberation War. Michel Laurent pins on my shirt a Bangladesh flag given by freedom fighters. the Vietnam war in 1975 at age 29. She was based in Hong Kong for several years, during which she traveled across Southeast Asia photographing several tribes in Laos, Thailand and Borneo. On one of her trips, she sailed on a junk across the China Sea to the Philippines and photographed the Sea Gypsies in the Sulu archipelago. In Sarawak, she went up river in a dugout, living in a longhouse with the Dayaks in the heart of the Borneo jungle. 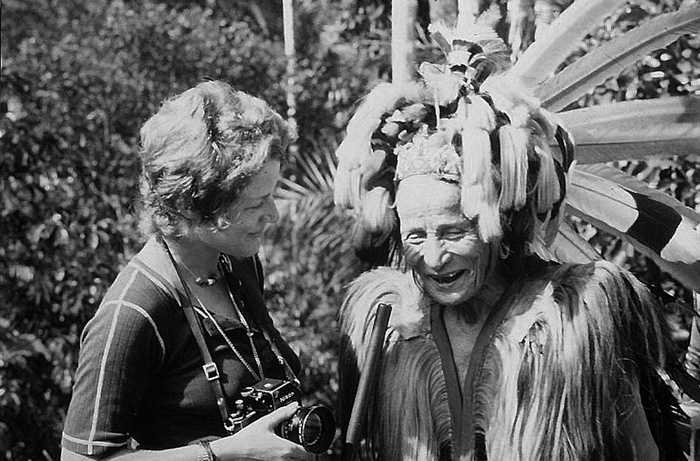 With the Iban chieftain of a longhouse, Sarawak, Borneo, 1971. 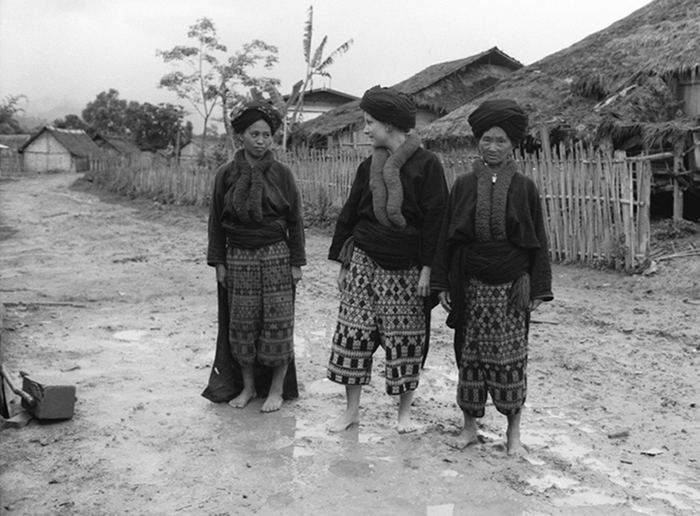 With Pathet Lao soldiers in Laos, 1975. In India, where she photographed extensively in the 1970s and 1980s, she chose to work in black and white, turning its vibrant colors into a rich palette of greys. 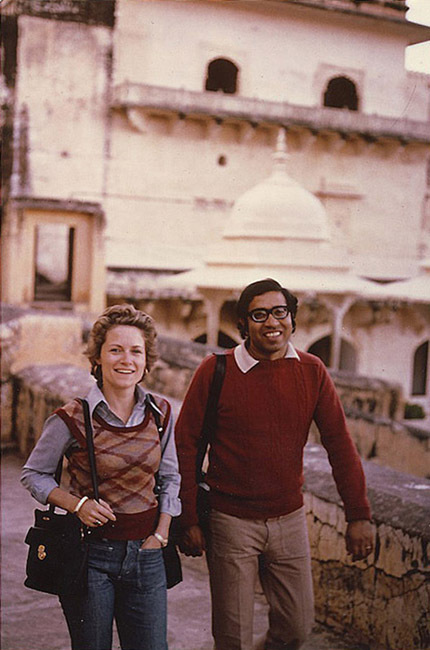 With my husband Raghubir Singh in Jaipur, 1978. From 1999 to 2005 she photographed the 38 bridges of Paris. A show of this body of work toured the Arabian Peninsula and the Middle East where it was exhibited in Oman, Bahrain, Qatar and Dubai, and in the cities of Gaza, Ramallah and Hebron. A selection from this series is in the collection of the Musée Carnavalet in Paris. In 2005 Anne de Henning photographed the life onboard a French Navy ship on an anti- terrorist mission in the Gulf of Aden (Task Force 150). The project took her from Toulon to Djibouti through the Suez Canal. Following a stopover in Oman, she became fascinated with the region, its history, people and their cultures, its diverse architectural styles and stunning natural landscapes. In 2006 she started a long-term project on the Arabian Peninsula. The deliberate use of vivid colors in otherwise austere natural environments prompted her to revert to color photography. In the course of her travels in Yemen she documented two projects submitted to the Aga Khan Award for Architecture, the restoration of the Amiriya mosque and madrasa in Rada and an urban development project in Shibam. Both were among the award winners in 2007. 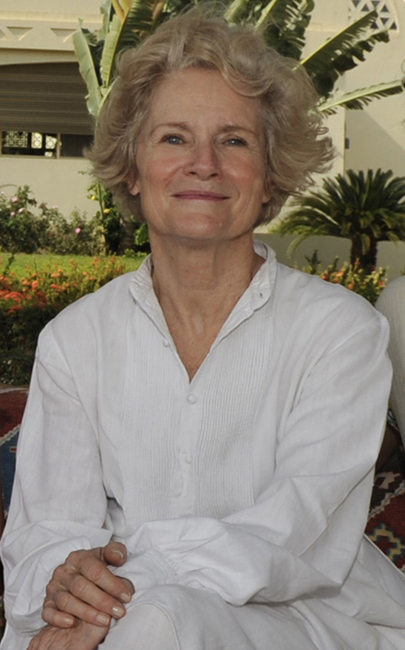 In 2011 Anne de Henning was invited on an artist residency by the “Service de cooperation et d’action culturelle” at the French Consulate General in Jeddah, Saudi Arabia. The work resulting from her residency was published in the book Carnet de Résidence, Djeddah, Arabie Saoudite. During several artist residencies in Marrakech at the Riad Denise Masson in 2011 and 2012, at the invitation of the Institut Français du Maroc, she worked on a project documenting the practices of the three Abrahamic religions - Islam, Judaism and Christianity - in Marrakech, Essaouira and the High Atlas. The work was exhibited in Marrakech and Essaouira. In 2013 she documented for the Aga Khan Award for Architecture the project for the revitalisation of Birzeit historic centre, in Palestine. The project was among the award winners in 2013.